The Auckland Council has announced that some Resource Consent Applications for houses in the Character Area Overlay zones, issued between 1 December 2016 and 19 December 2017 will now need to be reviewed because the process used was not a thorough and complete process. All of these consents are still legally valid but are now open to the challenge of a Judicial review in the High Court and work has stopped on up to five properties in the city while the problem is sorted out. All homeowners whose Resource Consent was issued during this period will be notified of this situation by the 20 September 2018 and will be advised to undertake a process of re-submission for a new Resource Consent. The background to this situation is that on the 1 December 2016 the Council began to assess Resource Consents under the Unitary Plan which had effectively created two sets of rules for character areas of the city, including Devonport. There was the Single House Zone (SHZ) and also the Special Character Area Overlay (SCAR). The rules conflicted on matters around site coverage, building envelopes and height to boundary and was a source of great frustrattion from developers, owners and planners trying to work with the rules. So Auckland Council decided that only the Special Character Overlay rules should apply and for a year this was the norm. But these overlay rules focused only on the character of the streetscape and were more generous about site coverage and height to boundary rules. It also meant there was far less attention given to neighbours’ and the general amenity of a proposal. The Council planner sought guidance from the Environment Court that they were interpreting their own rules correctly and late last year the Court ruled that they were not doing so. The Court ruled that the underlying zone controls (SHZ) should also be applicable even where inconsistent with SCAR and despite Council’s intention when drafting the rules. All this means that some resource consents may have been wrongly granted or that neighbours should have been notified. The council is now contacting all property owners who had been issued with a Resource Consent in Devonport during this period. They will need to make their own decision about re-submitting a Resource Consent but the Council has stated that all existing issued consents during this period remain legally valid. 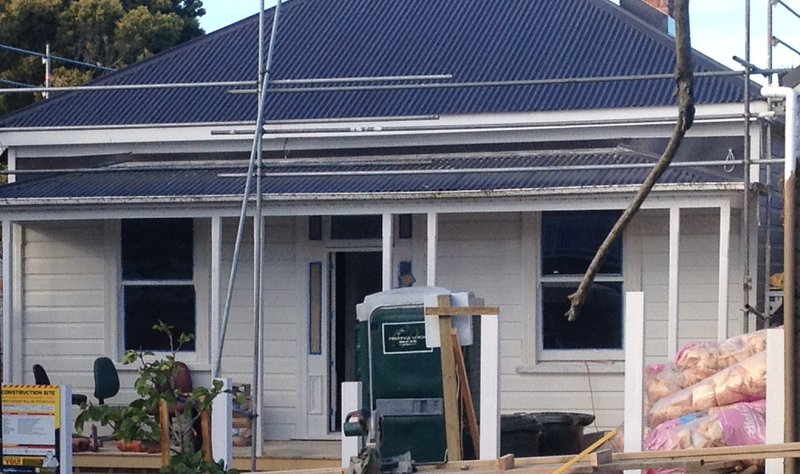 - Contact the Council to confirm if the Resource Consent for the house in question was issued during this period and therefore is subject to a review. - Raise your concern with the Council to ensure that the re-submitted Resource Consent takes into account to the impact on your property. The Council will make this assessment under both the SCAR and SHZ at the time of the re-submitted Resource Consent. - If you believe you have been adversely affected you should contact firstly the Council Planning department. The General Manager Resource Consents is Ian Smallburn after that then a planning consultant or lawyer. - The last resort is to make a judicial review to the High Court which can decide whether the resource consent is invalid. The good news from this council blunder is that the Council Regulatory director Penny Pirrit says the decision means there will have to be greater scrutiny of resource consents which will require more input from neighbours. Instead of just considering how the character property will look from the street, the council will also have to consider wider amenity issues.